Bay Area techno heads know Direct To Earth. For seven years running (their anniversary bash lands this October — more on that below), the crew and DJ collective has highlighted an array of artists, local and international, who dedicate themselves to a particular kind of techno — raw, heavy, dance-floor-minded machine music. “Techno” in the purest sense. Max Gardner, Oakland native, is a founding member of Direct To Earth and one of its mainstay DJs. He’s been involved in Bay Area techno since DTE’s inception, maintaining a regular presence in local clubs, both on the dance-floor and behind the decks.  He’s put together the latest installment of the As You Like It podcast series, a proper techno onslaught that just so happens to feature a slew of Gardner’s own unreleased productions. (His first 12″ came earlier this year on Bay Area label Excise.) Give it a listen before Direct To Earth and As You Like It collaborate to host Mark Broom and Pangaea this Friday, August 10, at San Francisco club F8. CZ: Where are you from, and how’d you land in the Bay Area? MG: I’m actually a Bay Area native. I was born in Oakland and I grew up in Piedmont, basically a suburb located within Oakland. I went to college in Arizona and I rushed back to the Bay upon graduating in 2011. After living in Oakland for a couple years I ended up moving into the city, San Francisco, and that’s where I’m living now. CZ: Tell me about your involvement with Direct To Earth. Have you been around since the beginning? MG: I have! I originally started Direct to Earth with my childhood friend who people know as Brian Knarfield near the tail end of 2011. While I was attending school in AZ, Brian was here in the Bay Area digging his feet into the music scene. Once I came back to the Bay, 2 whole months had passed without a single opportunity to DJ, other than for maybe 8 people in Knarfield’s basement. I’d regularly attend the [KONTROL] monthly night at The EndUp and one-off undergrounds thrown by AYLI, but besides that I wasn’t aware of too many other opportunities for me to go get my music fix. [KONTROL] announced they were ending and I was still itching to play music for this scene that was still fairly new to me. Brian’s first party, Sonus, had come to an end and he didn’t have a night to work on either. So after brainstorming all day in his basement on what we wanted to do we finally ended up with some of our favorite words, Direct to Earth. Initially it was a weekly Sunday night party at Lounge 3411 in Oakland to connect with the music community and bring more of them to that part of town. Within a month or two we had formed a solid group of friends who were techno producers and DJs, including Patrick Gil, Guidewire, Bob Five, David Javate, VanMook, Justin Peoples, and Eli. We were all so excited by the idea of playing techno in parts of Oakland where this wasn’t normally happening, it quickly spiraled into much more than I ever thought it would be. CZ: And on that note, Direct To Earth is celebrating its 7 year anniversary this year, right? That’s a long time! How have things changed for DTE since its inception? What’s the future have in store for the crew? MG: Yeah! I’m excited for the 7 year. October 5th, save the damn date! DTE quickly evolved into much more than we ever anticipated. It went from the small Sunday weekly into an Oakland First Friday party in a 2 story club, into that same thing plus an afterparty around the corner that went until noon, renegades around the Bay, and eventually underground parties in various buildings around Oakland that grew to the point where we started flying out some of our favorite artists from the other side of the world. We soon experimented with different variables, whether it be location or time, always trying to make things different in some way. If the party was at a previously used location we would try to set up the DJ booth or visuals on the opposite side of the room and we would decorate the venue to make it look different. We wanted you to feel like you’ve never been to this space before to help create that special energy. We also dabbled with some club nights in SF. Over time our Oakland locations started to disappear and new ones were not popping up. Before there was always a steady flow of spaces coming and going, but eventually, things were changing. The wealthy people moving into the Bay Area were displacing everything and we were losing the ability to do what we wanted. So we naturally gravitated towards San Francisco club nights. This was a big change for the crew and we kept having parties at different venues around the city until we realized we should start doing the majority of our club nights at F8. The whole team there is amazing and they’ve been like our home club for the past few years. What’s the future have in store? Fortunately, over the past 2 years some very amazing people have banded together and we’ve had some of my favorite nights so far. Indy Nyles, Muon and Tariq have all been playing some really amazing music. Working with them, Michael, Chris and VanMook behind the scenes, we’ve been able to accomplish a lot in the last year 1.5 years or so. There’s been a lot of enjoyable nights where we partnered with different party crews over the past 1-2 years too and we’re going to continue experimenting with different collaborations. There’s murmurs of a label one day, no timeline but it will surely happen someday down the road! Everyone wants one nowadays after all! Ha. CZ: What was your first exposure to DJing — and when did you know you wanted to become a DJ yourself? MG: I had some friends who mixed records near the tail end of highschool, mainly Brian Knarfield and Steven Campodonico. I would mess around at their houses or small get togethers, it wasn’t serious at all for me, just messing around. At first I never thought I was going to become a real DJ. Over the next few years in college I started going out and the nightlife in Arizona was incomparable to what I was able to experience when visiting home or elsewhere during winter and summer break. That was something that was really getting to me. 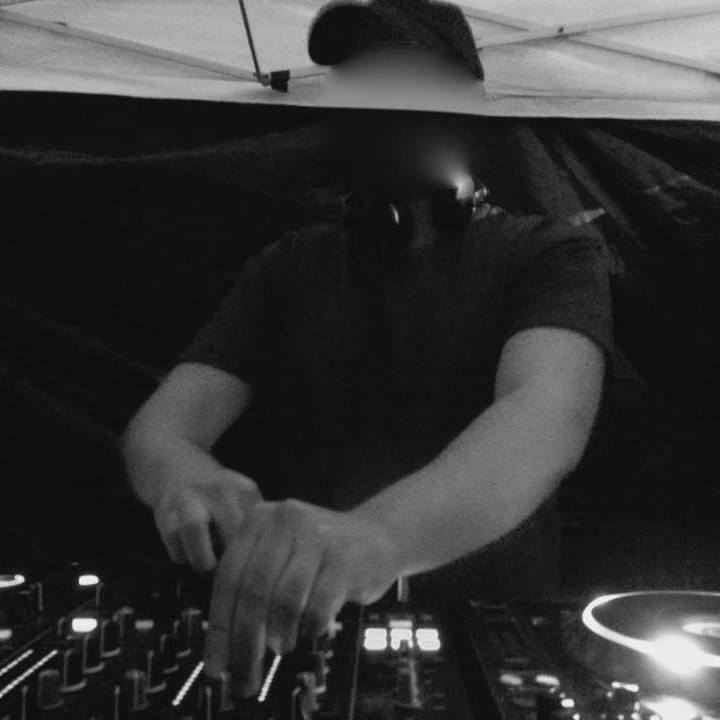 I had some CDJ 200s and an old Behringer mixer at my place and when I would have my college friends over I’d switch off the iPod and start DJing different music once they were drunk enough. I did that for a year or two until one day I saw a DJ contest to play for an event thrown by a local promoter, PHAT Entertainment, at the Rialto Theater in Tucson. I had just turned 21 and I decided after class that day I would record a mix and send it in. I think that was the big turning point for me. I ended up winning the contest. A lot of my friends were very supportive and just as excited as I was. The timeslot was to open the outdoor smoking area and somehow it was pretty crowded for most of the set, the last 20 or 30 minutes it was packed. I was hooked from there, addicted for life. PHAT kept booking me for their parties and I dug my feet deep into the Arizona scene, playing events frequently around Tucson and Phoenix. That’s when it became a real thing for me. CZ: Who do you look to for inspiration as a DJ? What are the fundamental aspects that separate great DJs from not-so-great DJs, in your mind? MG: Sometimes you get inspired when you least expect it. We’re lucky to have a lot of great music right here at home. I like to think I’m heavily influenced by my peers locally and people I keep in touch with in other parts of the world. Still, there’s so many artists I haven’t had the pleasure of meeting and I follow their mixes/shows. Personally, I like the DJs who take risks and keep it moving. You can tell when the DJ is playing safe or if they have some sort of script they’re sticking to. Ben Sims is a spectacular DJ with plenty of tricks up his sleeve, you can learn a lot from listening to him. Always keep them guessing. I love DJs who can get groovy and also slam it into hypnotic hammer town. Truncate, Lucy, Steve Rachmad, Heiko Laux, and the like. There’s too many artists I follow. It’s really great to see the DJs who have depth and enjoy playing on different sides of their musical index, the ones who can pull the mix in any direction they’re feeling at that given moment. I think that’s what one of the best qualities can be as a DJ. Some DJs can play both Panorama and the main floor, speaking metaphorically (and figuratively): Ambivalent, Noncompliant/Shiva, Jason Kendig, Anastasia Kristensen, DVS1 and tons of artists like them. I’m into live sets as well, I really enjoy hearing/seeing people like Headless Horseman or Ansome work the mixer with hardware. People like Rrose, Function, Christina Chatfield and Jeff Derringer have all impacted me with their hybrid or digital live sets. CZ: Tell me about your AYLI podcast. How’d you put it together? What sort of considerations went into your selections? MG: Oooooof. This was tough because there was so many different directions I wanted to go with it. On one hand I just wanted to play some of my favorite tracks to drop at peak time. ‘Max Gardner’s Essential Mix,’ hah! On the other hand, I almost wanted to solely focus on creating a musical journey that shows depth in a few different styles of techno/house, of course with some of my favorite tracks in those different styles from different time periods to maybe show my evolution over time. Another thought was that I wanted to play a lot of my friends’ music, and on the lastly I wanted to use this opportunity to share some of the unreleased stuff I’ve been working on lately. At one point I set aside over 200 songs to maybe use and then I started digging from scratch again. Sometimes I overthink things, the next time around was way easier. Eventually I decided to create a mix that showed some groovier warm up songs and short bursts of more energetic techno. I played 5 of my own unreleased/unmastered songs for the first time and I also included some songs sent to me from my friends. There’s a track from Nackt and mossmoss, there’s also one from my live set partner Muon. Anyone who hasn’t heard the Assailants record is sleeping so I threw one of those in there. I have fond memories of playing Marcel Fengler’s ‘Shitau’ on various nights. Luke Hess is a master of deep groovy techno, had to include of those many great songs. I included an Opgang 2 track, ‘Prone Decubitus’ that just came out on my friend Taraval’s label, originally released in 1997. There’s some other goodies in there too, go have a listen. CZ: You put out your first 12″ of solo productions this year. Tell me more about producing your own music — are you a lifelong musician? Was this 12″ in the works for awhile? And you’ve been playing out live, too. Tell me more about that! MG: When I was 15 I learned how to play the drums. I couldn’t read sheet music, but I enjoyed jamming with friends who would play keys, bass or guitar. We didn’t have a band or anything, it was just for fun. In college a drumset landed at my place for a little over a year and I would jam with my roommate who played a keyboard. He picked up guitar too. Oh yeah, in elementary school I learned how to play the recorder and the trombone hahaha. Honestly, I didn’t get deep into actually creating music until I moved back to the Bay and settled back down, although I was toying with Ableton for a year or two before that. I think I bought my first synth in 2012. At first I was really motivated, I even put something out that year with my buddy Seeder. As time went on I realized musically I was way behind where I wanted to be with production and each project seemed better or more intricate than the last so I hunkered down and hid in my cave for a few years to keep expanding my knowledge, creating a lot but not sharing. Someone I dated a few years ago got angry with me for always working on music and not showing it to anyone else, but I’m still glad I didn’t listen to her at that time. I was on my own journey. I started digital, then went down a hardware only route, eventually I starting using both analog and digital and that’s where I’m at now. Sometimes I’ll do analog only based projects, sometimes I like the versatility of playing around with digital only projects, sometimes both. It’s all very fun for me. The record was really big for me. It pulled me out of this cave I had been hiding in for years. I linked up with Marc Muon and he asked me to remix one of his songs. He came over to have a listen and we were both very happy with the outcome. Then he asked if I would want to release a record on his label including that remix, so I started pulling up all kinds of random projects from over the years. Broken Pinkies was the title track on the record. The story of that song starts with a tale of debauchery in which I ended up in a rare form with a broken pinky, I was exhausted. I’m not super into dabs, but I got a bunch of that stuff to help with the pain and I was struggling to get the stuff off this flip knife and onto the dabber. My hand hurt, I was a mess, the knife ended up breaking and falling apart. I felt useless at the time, so I stumbled into the studio and that’s the project I started. The main chord comes from a Juno 106 running through a space echo tape delay. Yan Cook remixed that song and I love his version, it’s so different that it seems like it’s an original. Monaloops actually started as a really chill and goofy jam from my Vermona drum synth which I completely changed and revamped into something darker and heavier for the record. It’s kind of funny, you think you finish the songs and that they’ll come out in like 3 months, but sometimes this thing takes a while and I was waiting like a year for this to come out. That made it that much more exciting when it happened. I played live for the first time with Muon for the ZORG afterhours Friday night of MUTEK’s first weekend in San Francisco. Honestly, I still don’t know how to put that show into words. It was the best crowd we could have hoped for and I was seriously speechless after our set. It’s been great jamming with Marc. We were talking about jamming for a long time and we saw the MUTEK announcement in an airport on our way back from Berlin, we came up with the idea for the live set right then and started mapping out what gear we would use. It was great because we had plenty of time to learn how to flow together, and we also had a clear timeline of when we wanted to get to where we were going. We also had no idea what we were going to sound like playing together, and I think because we talked about the tools we would use and how we would use them so much ahead of time the project just naturally came together very quickly. It’s great because we’ve learned how to feed off each other’s energy instead of focusing on creating actual songs, so every set is different. There are certain melodies we’ll use more than once or particular things we like to do, but it’s always in a different way. The project is hardware based, except for some digital MIDI messages. It’s evolved a lot since our first performance. Definitely a lot of good energy around that and I’m excited to keep it going. CZ: Are you continuing to work on your own music? Any plans or upcoming releases you’re able to share? MG: All the time. A bit of hiding in the cave again but I’m more open with the music this time around. All of the songs I produced that were included in this podcast are more recent, unreleased and unmastered stuff. My studio has been in transition for a few months but soon everything is going to be dialed in and I will have access to all my gear again. In the meantime I’ve been creating a bunch of digital tracks while I get this new setup optimized. I have some interesting collaboration projects in the works too. There’s some hardware based songs I’ve been working on with Taraval. There’s a mix of digital and analog projects with Muon. I created some cool songs with Marla Singer near the end of last year. I had fun working on some heavy tracks recently with Cory Simpson who runs DEPTH in Seattle. There’s no pending release date on these projects yet, but there’s a lot cooking right now! Maybe in the next year or two a solo and more digitally driven live or even A/V set? Not tooooo soon but I like keeping busy! We shall see..
CZ: Last but not least, tell me about some new music you’re enjoying lately — dancefloor DJ fodder or just good old fashioned at-home listening. MG: This is totally unrelated to the dancefloor stuff, but my car doesn’t have an aux input so I listen to the jazz station on the radio, 99.1fm here at home is the jam. Seriously, that music is good for your soul. Some of their DJ/hosts are better than others but I’ve been loving that stuff. I’ve been really excited by the Bay Area local music scene to be honest. Perfect Location, Silva Electronics, Honey Soundsystem, From 0-1, Left Hand Path, Secret Studios, Squirrels on Film, Chem Club, Jacktone, and Sirena Negra are all doing great work. It’s a very enjoyable experience to see/hear projects my friends have been putting out. U-SRD, Entropy Worship, BLEIE, are all doing great stuff. There’s a lot of other people I want to include but it’s past my bedtime and those labels cover a lot of them. Definitely check them all out. Of course, there’s the Excise records trilogy too. For more global techno I’ve got to say Takaaki Itoh is killing it. Master level productions. I think you’re going to hear a lot more slammers from Judas. Bas Mooy’s MORD label is an obvious winner. There’s way too much good music out there. I also really enjoy that deep hypnotic stuff by people like Nima Khak or Edit Select. This question is a trick because it can go on forever. I’ll save your eyes the stress. Big thanks for having me on here. I had a lot of fun putting this together.